The first potential risk of trying to curate in 2017 an exhibition of artwork and artifacts related to imagining futures is that the turnaround time from speculation to reality seems to be getting shorter and shorter. To appropriate and update a hoary William Gibson quote, the future is here, and it’s distributing itself at an alarmingly accelerated rate. For much of this year I’ve heard science fiction writer friends complain that their imagined worlds can’t keep up with developments in our own. One of them discovered an editorial titled “Hear Me Out: Let’s Elect an AI President” a few days before a deadline to finish a short story about the executive branch of the United States being replaced with an AI. This hour’s dystopian narrative becomes the next’s Wired thinkpiece-as-product placement. But what is happening now feels less like an acceleration toward the future than like one toward the recent past. Four years after a friend told me that the tech bubble was likely to burst in the next year and a half, it seems as if the future is approaching faster than ever—or, to be precise, a version of the future heralded a few decades ago. 2017 is the twenty-fifth anniversary of the publication of Snow Crash, the fifteenth anniversary of the release of the film Minority Report, and the tenth anniversary of the iPhone (arguably the greatest contributing factor to how life is lived here in the accelerated future tense). So many of the manifestations of “the future” in (white, Western, mainstream) pop culture remain under the art direction of Hollywood circa 2002. Schwartz, like the other Minority Report consultants, is part of a larger political economy of The Future whose origins could be traced as far back as the Oracle of Delphi but whose shiny, modernist beginnings (perhaps more relevant to understanding the culture that brought us Minority Report) track with the emergence of the Cold War and the growth of the RAND Corporation. Most histories of the modern corporate futurist field locate its origins in the discipline of “operations research”, a term as conveniently vague as “futurism.” Operations research emerged during World War II from US military logistics research using nascent analog and digital computing technologies to make more informed decisions grounded in computational analysis and statistical modeling. The brightest minds of World War II operations research would go on to leadership roles at the RAND Corporation, a quasi-governmental private think tank created in 1948 to provide research and development support to the United States military. At RAND, operations research gave way to two major developments that would become integral to the pursuit of rational futures: game theory and scenario planning. Both were integral to the development of Cold War-era military simulations and war games. Of the two, scenario planning employs more narrative interpretation, and is generally expected to be attuned to the subtleties of here and now rather than relying only on calculations and archetypes. 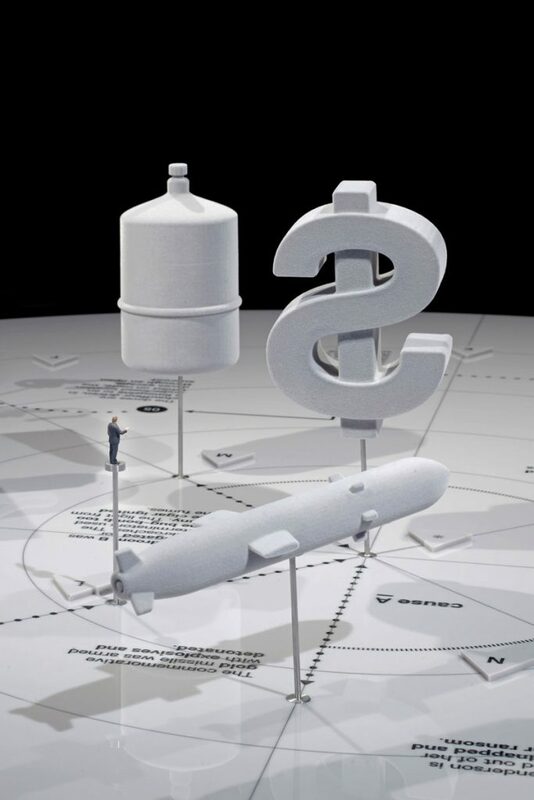 The government and military approaches to scenarios would go on to shape the field of corporate scenario planning, most notably the Shell Oil scenarios team. Formed in 1965, Shell Scenarios continues its work of future visioning to this day. Its reports are full of cautions about the limitations of scenarios, and insist that they are not “predicting the future” per se so much as laying out some reasonably assessed possibilities. Modest protestations aside, the Shell team is among the most written about examples of in-house corporate futurists in part because of the fact that the team largely validated its existence when one of its scenarios “predicted” the 1973 Middle East oil embargo. It’s the spirit of Shell Scenarios that drew me to Climate of Concern (1991), an in-house film on climate change produced by Shell and rediscovered twenty-five years later by journalists at Dutch news site De Correspondent. While Climate of Concern wasn’t produced by the Shell Scenarios team, it certainly comes across as an extension of the thinking behind their work. The film provides a startlingly detailed overview of the real threats of climate change as a result of carbon emissions, describing a future of “not a steady and even warming overall, but alterations to the familiar patterns of climate, and the increasing frequency of abnormal weather.” Although the film cautions that the evidence from models remains uncertain, “Many think that to wait for final proof would be irresponsible. Action now is seen as the only safe insurance. But what should that action be?”2 For Shell, “action” apparently meant twenty-five more years of drilling, oil production and exploration, and lobbying against climate regulations. Although Shell is far from the only petroleum giant long cognizant of—and complicit in—accelerating climate change, as a company it is uniquely known for their use of scenario planning and project a public image of future-forward thinking through artifacts like Climate of Concern and their scenario reports. But Shell’s end goal isn’t to use scenarios and futures research to avert the disasters of climate change. It’s to navigate a course toward profit in spite of them. There’s a reason so much of the work of corporate futures and scenario planning goes into a discipline known as risk assessment. For Everything Ends in Chaos, Ilona Gaynor deconstructs the realm of corporate risk assessment in an effort to model and reverse engineer a “black swan event”. First coined in its current sense by statistician and essayist Nassim Nicolas Taleb in 2001, the term refers to unexpected and unpredicted events that reshape the course of history and that, only in hindsight, might be understood as inevitable. The iPhone (an amalgam of existing emerging technologies unified by a singular design vision and supply chain somehow not predicted by science fiction or industry) is an example of a black swan, as is the collapse of the Soviet Union. The expression itself goes back to a line from the Latin poet Juvenal (rara avis in terris nigroque simillima cygno—”a rare bird on earth and very much like a black swan”), written at a time when black swans were thought not to exist (nor, apparently, virtuous women, as that’s actually what Juvenal was comparing to black swans). Following their first documentation by Dutch explorers in 1697, “black swan” (commonly used, along with “rara avis,” for individuals who defy expectation) also became a way to describe outlier events that undermined common understanding. Working in 2011, Gaynor was interested in the black swan of the 2008 global financial crisis and the infinite number of small-scale grifts that accumulated to made such a byzantine catastrophe possible. Everything Ends in Chaos contains similarly intricate complexities, connections, and financial assessments researched to the point of meticulous absurdity (Gaynor remains the only artist I know who consults hedge fund managers and hires private detectives to plan kidnappings as part of her artistic practice). Through this exhausting inventory of research artifacts and cinematically breathtaking scenarios, Gaynor grounds speculative design (a discipline unfortunately as vague and hyped as scenario planning, mostly associated with Royal College of Art graduates and a fascination with architectural renders) squarely in the realities of economic speculation. Her scenarios demonstrate the extent to which fissures, chaos, and collapse are inherent in, not deviations from, networked globalized finance. In engineering, industrial design, and architecture, futureproofing typically refers to creating something in such a way as to minimize or slow down its technological obsolescence. Techniques for futureproofing vary, from designing buildings that are sturdy enough to withstand nuclear fallout to creating open technical protocols that can adapt in order to accommodate new technologies. In the realm of the corporate scenario researcher and Gaynor’s risk analysts, the future may not always be predictable but it can certainly be contained, plotted, modeled, and conquered. The scenario planner futureproofs by writing proofs—rhetorically breaking down the constituent parts of the future with a performative mathematical precision, turning conjecture into irrevocable truth. This isn’t to say that top-down efforts to govern the future through information flows and to define the future are only the domain of military think tanks and multinational corporations. The never fully-realized Project Cybersyn offers a reminder of an alternate path that such futureproofing might have taken. Begun in 1971 to organize and manage Chile’s economy under Salvador Allende’s new democratically elected socialist government , Cybersyn was an ambitious undertaking. Years before the ARPANet sent its first packet-switched transmission, Cybersyn’s architects pursued a telex-driven data network to track worker absenteeism, the price of cotton, and other economic indicators. Using a computer system called Cyberstride, government bureaucrats and factory workers alike would democratically plan goals and make data-driven decisions for the economy. One of Cybersyn’s chief architects was British cyberneticist and consultant Stafford Beer. Cybernetics didn’t emerge directly from RAND, but many of its pioneers had connections to the think tank (and to MIT, arguably its east coast academic counterpart). John von Neumann, an early influence on cybernetics, consulted for RAND in 1948 and contributed to the development of game theory. He also knew and worked with RAND’s Herman Kahn, who is largely credited with the development of scenario planning. But where many of the preferred RAND methods of technical systems and forecasting tools advocated a top-down, command and control-heavy logic, cybernetics appealed both to Beer and Allende’s socialist Popular Unity government precisely because of its emphasis on the possibility of decentralized and, theoretically, more democratic control. Whether it actually did or could have achieved these ends is hard to say; before it ever really got off the ground, Project Cybersyn ended along with the Allende government following a CIA-backed coup on September 11, 1973. Efforts to undermine Allende’s government over the course of the two preceding years had already impeded the development of Cybersyn. What little of the project’s technology had been implemented by 1973 was often clunky and tedious. In this sense, maybe it did have the potential to be a truly democratic vision of futureproofing (while tedium and clunkiness are not core principles of functioning democracy, they are frequent features). The most famous and familiar images connected to Cybersyn are of the Operations Room (“opsroom”). Since the opsroom was the central interface for assessing Cybersyn data, every decision about its design served its technocratic socialist vision—or was supposed to serve that vision. Only one opsroom was ever built, it was never actually operational, and it was ultimately destroyed by the Pinochet government. What remains of the opsroom are sketches and designs created by industrial designer Gui Bonsiepe. In these, seven (a number selected to allow clear voting majorities) white Tulip chairs in a circle (a format selected to encourage democratic participation) allowed workers, managers, and bureaucrats to view screens of economic data (and, thanks to built-in containers in the Tulip chairs, apparently also sip whiskey and smoke–for all its hexagon-heavy futurist aesthetics, the opsroom retained some of the late 1960s boardroom vibe). The second risk of a futures exhibition in 2017 is falling into (or being perceived as falling into) the realm of escapist fantasy. Why talk about the city of tomorrow when the city of today is on fire? Such a critique might be made of the Waste Isolation Pilot Plant, one of the U.S. government’s largest initiatives to support and fund speculative fiction disguised as a national security and energy policy issue. 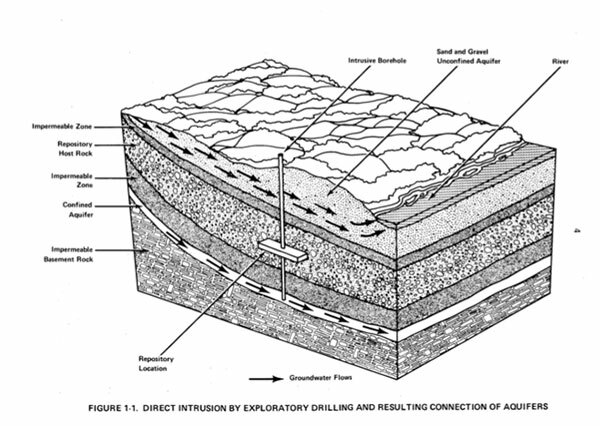 In 1979, Congress designated the WIPP site outside of Carlsbad, New Mexico as “a research and development facility to demonstrate the safe disposal of radioactive waste resulting from defense activities.” One of the unintended consequences of the short-term peace afforded by nuclear deterrence was the long-term problem of storing and disposing of massive quantities of nuclear waste in a location that could remain secure and undisturbed for tens of thousands of years—the typical half-life of the radioactive material in question. Alongside WIPP’s day-to-day maintenance and storage concerns, there were also long-term ones. Designing a structure that can function ten thousand years into the future is one thing, but designing one whose function remains legible across that timespan is quite another. 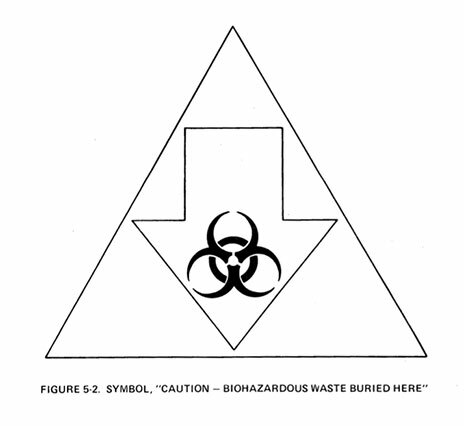 The WIPP needed warning signage to prevent humans from inadvertent exposure to radioactive waste, and they needed that signage to remain meaningful through its half-life. But writing systems, which go back 5000 years to the ancient Sumerians, have already changed dramatically (as have the languages they represent) in a time-span shorter than transuranic half life, and are likely to continue changing. The narratives of WIPP step out of the urgencies of real-time crisis, where fictional futures can’t keep up, and enter into the weird romance of deep, geologic time. But this earnest effort to prepare for a future timeline in which our present moment is an insignificant speck can be reasonably critiqued as a short-changing of that present, particularly in the context of a project like the WIPP. Perhaps the challenge facing humanity is not only how to make effective signage to protect future generations from nuclear waste and find a place to store that waste, but also how to create a society that doesn’t produce nuclear waste to begin with, or that finds a method of processing nuclear waste without having to resort to centralized burial. What futures are presumed to be a fait accompli by the very creation of a place like the WIPP, or by the current regime’s efforts to revive a similar initiative for nuclear waste storage in Nevada’s Yucca Mountain? But there’s also a paradoxical and necessary optimism to these far-future visions. While the form and structure of future civilizations is not set, in WIPP’s geologic timeline humanity still persists—which is far from a guaranteed proposition, and one that the 24-hour news cycle tends to narrate as an increasingly unlikely one. When the myopia and brutality of the present moment feel claustrophobically inescapable, escapism isn’t a method of denial so much as a survival strategy. Such futures are a leap of faith, an insistence that despite the grimness of the present moment there is a way out, even if the only way out is through. Salome Asega and Ayodamola Okunseinde’s Iyapo Repository exists somewhere past that way out in the timeline. It’s an archive literally in the future perfect for objects that will, at some point in the future, become historical artifacts. Through a series of workshops and events, the Repository’s archivists invite the public to imagine tools and technologies that reinforce an affirmative and tangible future of people of African descent. Asega and Okunseinde chose the form of a future archive carefully, appropriating the form as a challenge to the long and fraught history of Western archives and museums misappropriating and erasing the history and culture of African diaspora. In addition to written documentation and sketches from workshops, the Repository includes a selection of physical artifacts fabricated by Asega and Okunseinde, which extend the imaginings of workshop participants into technically functional objects. Not satisfied with the fantasy of possible futures, the Iyapo Repository insists this future has already happened and offers both a comprehensive archival paper trail and tangible artifacts as proof. In the face of present-day existential threats to the culture, identity, and lives of black Americans, such envisioning and inhabiting of the future’s archives seems far from empty escape. The final risk faced in working with and on futures in 2017 is perhaps better understood as the risk inherent in any action in 2017: why do anything when it seems increasingly unclear that there necessarily will be a future? Why look to the stars when the earth is caving in? Working on this show, I feel like a fraud insisting on the possibility of futures and speculative practice when I can barely see past the next twenty-four hours. I procrastinate and agonize over this catalogue essay (hi, Matthew) because I don’t really know if I’m going to make it far enough to see the exhibition manifest. In the weeks after the election I receive emails from nonprofits, from arts organizations, from advocates and activists insisting that The Work (whatever that work may be, but usually that of cultural engagement), matters now, more than ever. This insistence on the present moment as a perpetual now, more than ever persists well into the first 100 days, then on into the next 100 days, and it starts to seem inconceivable that now will ever lose that sense of more than ever urgency. I’m ambivalent about this transformation of time; while I appreciate the idea of living grounded in the present moment, that doesn’t really feel like what’s happening. The now of now, more than ever operates in the future tense, not the present—the subtext remaining that we must act now, more than ever before it’s too late. But maybe it is too late, or has been too late for a longer time than anyone would like to admit. Perhaps the path to now more than ever began with the absence of imagination to insist that now is as always. By insisting on now as a time of triage and never as a time for immanence or imagination (and because we are rarely able to see that it can be both of them at once), we have already lost ground. Trying to build alternative futures is often a process of facing that haunting spectre: finding life or potential by invoking and living with the ghosts and weird spirits of a world that could have been. Often, the interface for visiting these particular ghosts isn’t the medium or Ouija board but the archive, which is partly why so many of the works in Futureproof take on an archivist, museological tone. The alternative archive is historical evidence of a shift in the timeline, its own kind of proof that another timeline is not only possible, but has already happened, is already happening and emergent before us. In Morehshin Allahyari’s ongoing project She Who Sees The Unknown, that already-present alternate timeline unfolds through the construction of an archive and a series of ritual investigations into the dark goddesses, demons, and occult female jinns of pre-Islamic Middle Eastern history. Allahyari uses the term “re-figuring” as a way to describe her feminist approach to deconstructing myth, history, and colonialist appropriation of both. 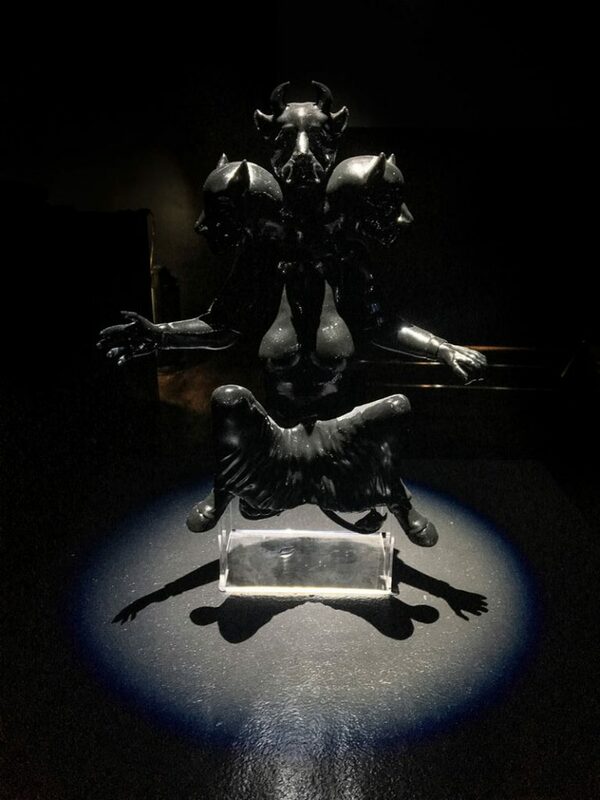 In addition to a rhetorical re-figuring of these female figures through written narratives and reading their histories onto current political conditions, she produces literal reconstruction of the figures with 3D modeling and printing tools, then ritually “re-figures” them through 3D scanning processes. As 3D scanning and printing increasingly find use in the always problematic realm of Western “cultural heritage” preservation (most recently seen in 3D printed reconstructions of the ruins of Palmyra dropped in cities like New York and London with little to no reference or connections drawn to the present-day destruction and ruins in Syria right now), Allahyari applies them in the service of an alternative mythology and culture, one that embraces the monstrous, the uncertain, and the chaotic. Weirdly, through projects like She Who Sees The Unknown and Additivism (a collaboration with Daniel Rourke), it’s become hard for me to imagine these tools being used for anything other than a challenge and critique of digital colonialist imperatives. In this respect She Who Sees The Unknown is, ironically, a much more literal manifestation of the black swan events Gaynor references in Everything Ends in Chaos: a reminder that alternatives to dominant ideology are only outliers until they’re made manifest and brought to our attention. Without dedicated effort to make national reckoning part of cultural heritage, wrongs committed by and in the name of nations fester across generations. In the Stasi Museum, I tried to imagine the United States taking on any part of its history with the same degree of blunt honesty and responsibility to future generations. How would we commemorate the black sites of the War on Terror? I tried to describe this idea to a journalist acquaintance who’d been to Guantanamo multiple times. She declared it impossible. Two years later I saw a satellite exhibition from Ian Alan Paul’s Guantanamo Bay Museum of Art and History, which manages to articulate that impossible future mostly through its stalwart representation of past and present. The artifacts and documents included in GBMAH exhibitions are real items from our timeline, real documentation of what’s happened at the prison. While there are other archival initiatives about Guantanamo by human rights groups and legal scholarship institutions, to present that archive in the register of museology—to suggest that the prison and its horrors exists in the past tense—gives those artifacts a more insistent, demanding politics than the mournful tone of oral histories. The museum is less a speculation and more a promise to a future or a timeline in which the United States is capable of facing the grim and cruel parts of its own history. To think about and work with futures in 2017 is to live immersed in a constant stream of grim and cruel incidents that history may or may not fully reckon with. It is to feel anxious, terrified, trapped in the perpetual future perfect where state violence and shock doctrine capitalism are faits accomplis. We can only react an maneuver around them, never demand they be otherwise. 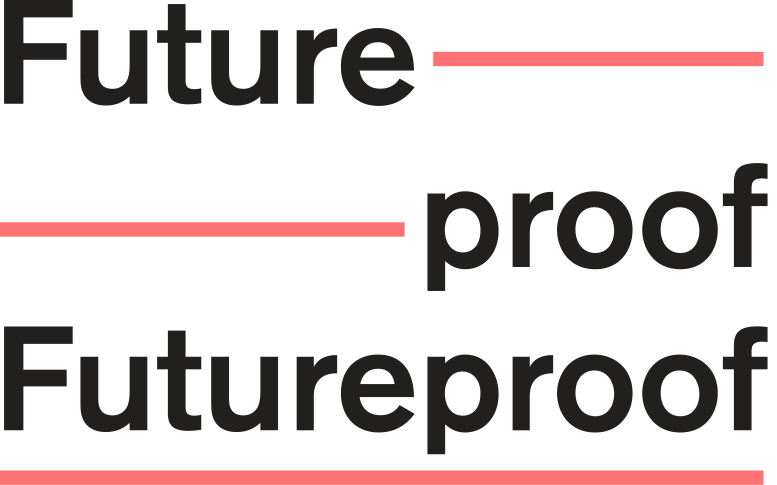 Futureproof is neither an exhibition of utopian fantasy nor one of dystopian prophecy. The futures and timelines it envisions are not so much guarantees as they are reminders that there are no guarantees, that all futures are imperfect little life rafts built mostly out of history’s flotsam and jetsam. They may not actually deliver us from open ocean—in a time of rising sea levels, open ocean may be all we have—but they may serve keep us afloat. Hopefully this collection of conversations and texts might someday serve as a piece of someone else’s life raft. Ingrid Burrington is an artist who writes, makes maps, and tells jokes about places, politics, and the weird feelings people have about both. She is the author of Networks of New York, An Illustrated Field Guide to Urban Internet Infrastructure (Melville House Publishing), and has previously written for The Atlantic, The Nation, The Verge, and other outlets. Her work has been supported by Data & Society, Eyebeam, the Center for Land Use Interpretation, and Rhizome.